On "Madame Bovary" and "Salammbô"
Yale University Press, 9780300187052, 196pp. Gustave Flaubert, one of the key figures in literary modernism, is famous for his determined pursuit of stylistic perfection. This notably involved the attempt to eliminate from his prose all sorts of assonances, consonances, and repetitions, in large measure by reading his sentences in a loud voice—the test of what he called the gueuloir (from gueuler, to yell). And yet when one examines closely the prose in his first novel, Madame Bovary, one becomes aware of a host of repetitions that appear to go directly against his stylistic ideal, revealing a level of “resistance” to that ideal at the very heart of his writing process. 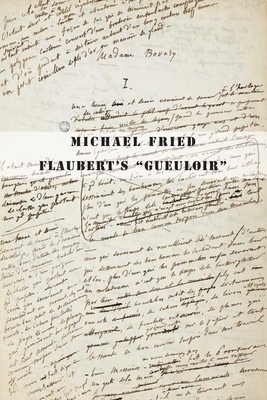 In this book Michael Fried presents two long essays: the first on Madame Bovary, in which the problem of critical understanding posed by this discovery is explored in depth; and the second on Flaubert’s remarkable second novel, Salammbô, in which the conflict between the drive for perfection and certain automatistic tendencies in Madame Bovary is replaced by a determination to extend the rule of authorial will throughout every aspect and level of the text. Furthermore, drawing on his wide knowledge of nineteenth-century French painting and criticism, Fried suggests that there exist strong analogies between what goes on in Flaubert's writing and what can be seen to take place in the art of Courbet, Manet, and Legros. Michael Fried is J. R. Herbert Boone Professor of Humanities and the History of Art, Johns Hopkins University.